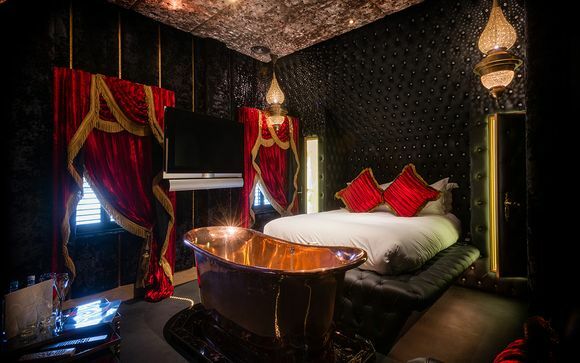 Experience the unique charm of The Crazy Bear Beaconsfield 5* - a luxuriously opulent hotel nestled in a historic market town. Nero marble, velvet walls, mirrored ceilings, two restaurants and an outdoor pool - this outstanding hotel is a mind-blowing whirlwind for the senses, an experience not to be missed! Our members benefit from Champagne upon arrival, a delicious three-course menu in a choice of restaurants, a bottle of exclusive Tsarine by Adriana Champagne in your individually designed bedroom and an extensive continental breakfast buffet. Please Note: This offer is Non-Refundable and Non-Transferable and Cannot be Booked in Conjunction with any Other Offer. The Date of Booking Cannot be Changed. The bustling market town of Beaconsfield has long been described as being like a 'time warp', thanks to the quaintness and historical charm of its streets. Nestled by the Chiltern Hills Area of Outstanding Beauty, a stay here provides an ideal break from day-to-day life, while being close enough to Central London to allow more urban day-trips easily. The 'Old Town' consists of many Tudor, Georgian and Neo-Georgian buildings, and the town is even home to the first model village in the world! Having opened in 2008, The Crazy Bear Beaconsfield 5* welcomed an almost immediate flurry of international reviews and 'Hot List' mentions! 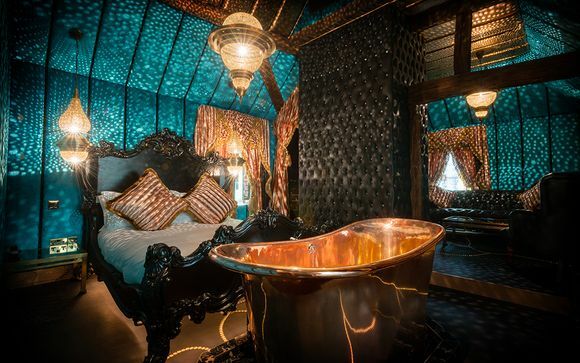 After being named on Conde Nast's list for best new hotels in the world, the hotel has gone on to become a well-known name across the UK, synonymous with flamboyant decor, luxury service and unique charm. 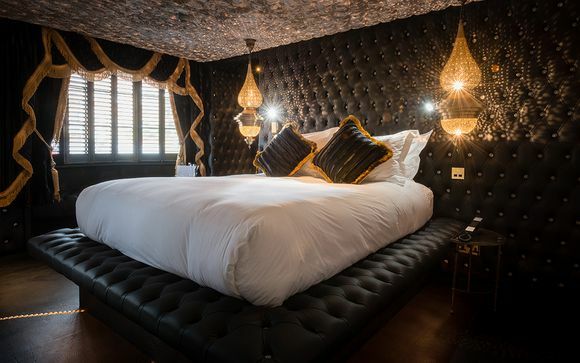 Situated in the oldest documented building in Beaconsfield, The Crazy Bear Beaconsfield 5* is a delightful juxtaposition between history and modern opulence. It has been meticulously restored down to every detail, and is sure to provide a once-in-a-lifetime hotel experience! 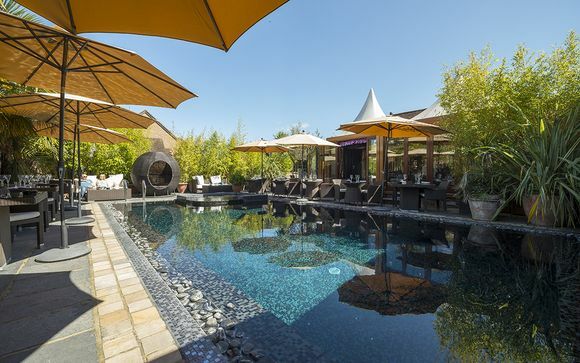 The hotel is home to a gorgeous terrace, a swimming pool, a Jacuzzi, Thai massage services and two incredible restaurants. This offer is based on a choice between a Townhouse Room, a Deluxe Room, a Superior Room, a Junior Suite and a Suite. 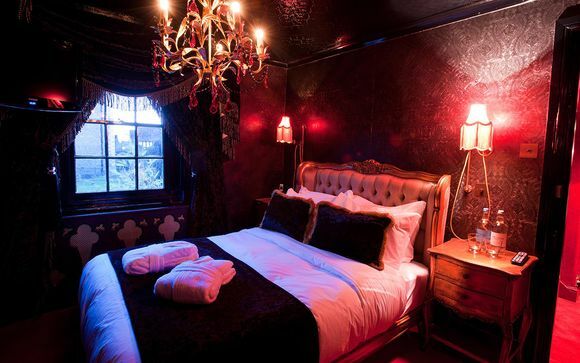 The Townhouse Rooms offer an inexpensive way to experience The Crazy Bear Beaconsfield 5*. They offer wet rooms, and the use of gorgeous, complimentary toiletries. They are located across from the Main House. Each gorgeously individual Deluxe Room offers luxuries such as Nero marble wet rooms, underfloor heating, leather and velvet walls, individual climate control and the use of lavish toiletries. Each Deluxe Room can be found in the hotel's surrounding cottages and millennium building. Sumptuous Superior Rooms come with the added benefit of slipper baths, which fill from the ceiling for extra opulence. They feature marble wet rooms, with spectacular showers and underfloor heating. They also feature the Deluxe amenities as listed above. Superior Rooms can be found in the Main house, the millennium building and the surrounding cottages. Junior Suites also come complete with slipper baths, perfect for the ultimate romance on a break away. They also come with the added benefit of extra space, for those who require the utmost luxury in their holiday experience. They are located in the stable block, the millennium building and the surrounding cottages. Each Suite is larger in size than the Junior Suites, featuring copper, roll-top baths that fill from the ceiling, Lutron mood lighting, velvet walls and ceilings, complimentary toiletries and individual climate control. 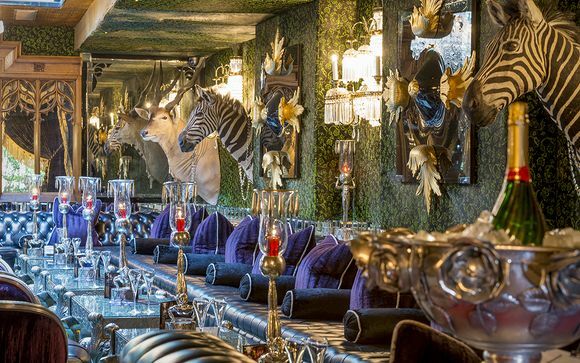 They represent the highest form of total lavishness at The Crazy Bear Beaconsfield 5* - perfect for a special occasion! This offer is based on a Half Board Stay (continental breakfast buffet and evening meal served in one of the hotel's two restaurants - excludes drinks). The hotel's English Restaurant offers everything from breakfast and afternoon tea, to a la Carte dining options. Serving grilled meats, fish and delicious vegetarian options, here each and every guest is sure to be delighted. Their smoked products are even smoked in their Farm Shop, while their pork and lamb is reared at the Crazy Bear farm. True, local produce that is sure to put a smile on our guests' faces! The Thai Restaurant offers another unique dining experience, catering for a variety of tastes with their modern, oriental dishes. Please note however that the Thai Restaurant is closed on Mondays. 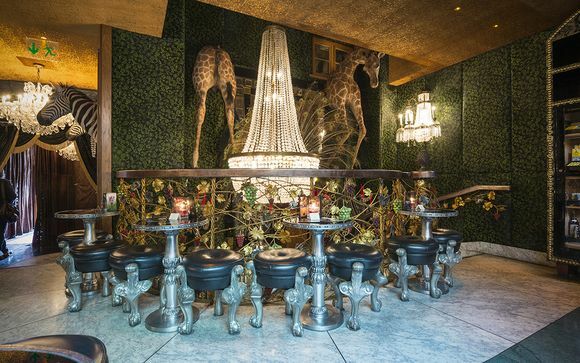 The bar sells innovative cocktails and small plates, providing a casual spot to sit and relax for our guests. The address of your property: 73-75 Wycombe End, Beaconsfield, HP9 1LX. Distance between Beaconsfield Station and The Crazy Bear Beaconsfield 5*: 1.2 km / 18-minute walk. Please Note: This offer is for Adults-Only. This property may not be accessible to people with reduced mobility. A credit card pre-authorisation of £150 will be required at check-in to cover any incidentals during your stay - this will be released following bill payment at check-out. - The full package is to be used in one visit and cannot be applied to existing bookings.